#1. Failure. You can’t be a Christian without it. 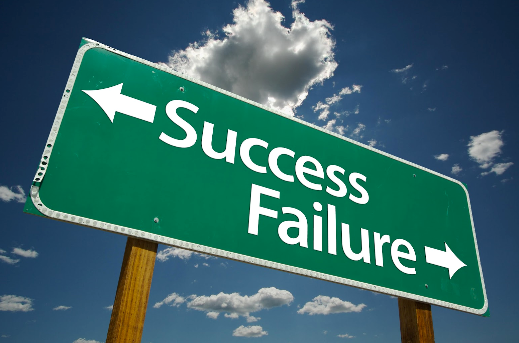 We can’t be saved unless we have failed at being righteous, and the Bible states in Romans 3:10, “there is none righteous, no, not one!” Despite our intentions at being successful at being righteous, the sin we have been infected with always raises its prideful head and causes us to do those things we wished we wouldn’t. Yet failing here is what qualifies us for the Saving Grace only God can provide. #3. Failure. The gift of humility. Perhaps the one virtue we resist the most is humility. We often serve a wrong image of a God who we think demands perfection from us in order to be accepted, so we refuse to step out and try new things because we fear failing. We end up stuck in the paralysis of analysis. I like how Chris Vallotton confronts this fear of failing with the students in their school of ministry in Bethel, California. 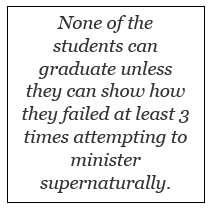 None of the students can graduate unless they can show how they failed at least 3 times attempting to minister supernaturally. What beautiful freedom that produces as it puts a nail in the coffin of self-reliant perfectionism. #4. Failure. The portal to more grace. Failing shouldn’t be so much of a surprise to us. Every time we fail it should simply remind ourselves; “I just did something without Jesus”. In John 15:5, Jesus states, “without Me you can do nothing”. What does a faithful believer do when they fail to live up to the Word of God? They faithfully repent and rely again, on the same grace that saved them in the beginning. 1 Peter 5:5 states, “God resists the proud but gives grace to the humble”. So the next time you feel like a failure, just remember that failing is an “event”, not an “identity” when you have Jesus Christ in your life. This doesn’t make us self-confident but God-confident. Therefore no matter what you are facing today remember, when you have the Lord you can “fail-forward” in everything you do. Praise the Lord. Posted in Most Popular Articles and tagged Chris Vallotton, Christian Maturity, Fail-forward, Failure, Jeff Krall, Timothy Keller, Winston Churchill on December 29, 2013 by Jeff Krall.